How do NexGard Chewables work? 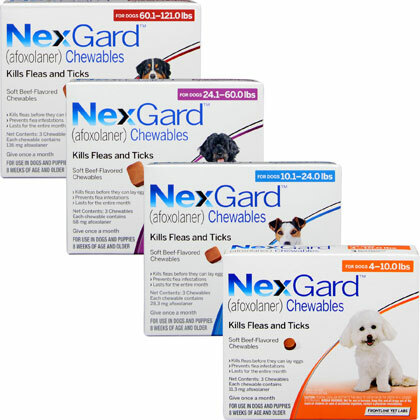 NexGard Chewables contains a brand new ingredient not used in any other flea and tick protection. Afoxolaner, the ingredient in NexGard Chewables, works by absorbing rapidly and safely into your pet's bloodstream and causes uncontrolled activity the fleas' and ticks' central nervous systems, which causes death. Afoxolaner is slowly excreted through your pet's metabolism, which allows NexGard Chewables to continue to provide effective treatment for a full 30 days. This means amazing protection in a tasty morsel! 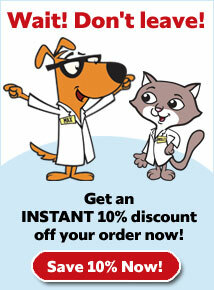 NexGard Chewables is a prescription-only medication, so talk to your vet. 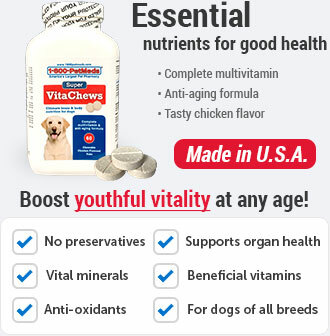 NexGard Chewables is for use in dogs only. Not for use in humans. Keep this and all drugs out of the reach of children. In case of accidental ingestion, contact a physician immediately. The most frequently reported adverse reactions include vomiting, dry/flaky skin, diarrhea, lethargy, and lack of appetite. 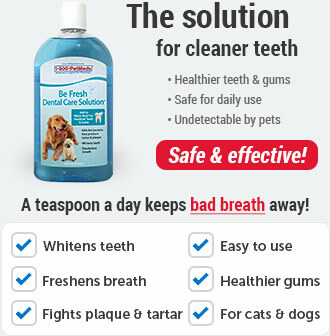 What is the most important thing I should know about NexGard Chewables? 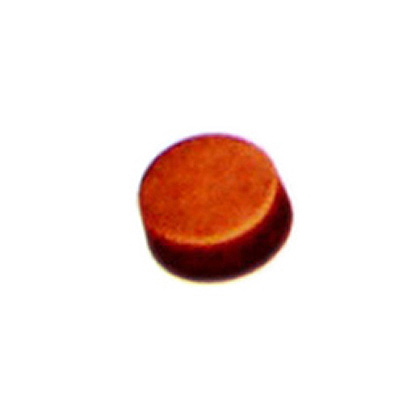 The active ingredient in NexGard Chewables is Afoxolaner. 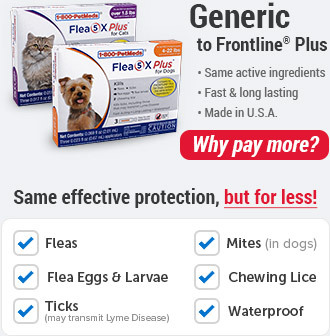 NexGard Chewables kill adult fleas and are indicated for the treatment and prevention of flea infestations (Ctenocephalides felis), and the treatment and control of the American dog tick (Dermacentor variabilis), black-legged (deer) tick (Ixodes scapularis) and Lone star tick (Amblyomma americanum) infestations in dogs and puppies 8 weeks of age and older, weighing 4 pounds of body weight or greater, for one month. What should I discuss with my veterinarian before giving NexGard Chewables to my pet? Tell your veterinarian if your dog is pregnant, lactating or has a history of seizures. The safe use of NexGard Chewables in breeding, pregnant or lactating dogs has not been evaluated. Use with caution in dogs with a history of seizures. How should NexGard Chewables be given? NexGard Chewables require a prescription. 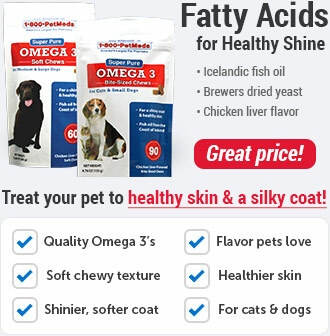 Give the appropriate dosage based on your dog's weight. (See How to Use). If it is suspected that any of the dose has been lost or if vomiting occurs within two hours of administration redose with another full dose. NexGard Chewables can be administered with or without food. NexGard Chewables should be administered all year round. Treat all the pets in your home to reduce the risk of a flea infestation. What are the potential side effects of NexGard Chewables? The most frequently reported adverse reactions include vomiting, dry/flaky skin, diarrhea, lethargy, and lack of appetite. The occurrence of vomiting was generally self-limiting and of short duration and tended to decrease with subsequent doses. There are no known contraindications for the use of NexGard Chewables. What happens if I miss giving a dose of NexGard Chewables? If a dose is missed, administer the usual dose of NexGard Chewables and resume a monthly dosing schedule. What happens if I overdose my pet on NexGard Chewables? 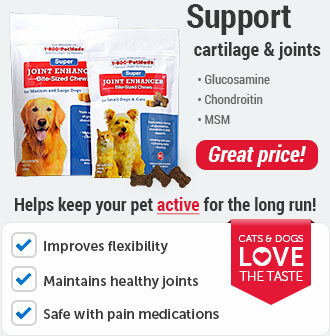 What should I avoid while giving NexGard Chewables to my pet? Avoid giving NexGard Chewables if your pet is pregnant, lactating or has a known history of seizures. What other drugs will affect NexGard Chewables? There are no known contraindications for the use of NexGard Chewables.